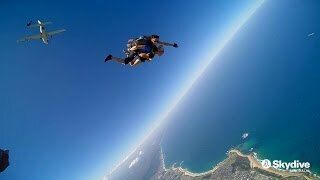 Skydive Sydney - Wollongong is an award-winning adventure tourism company headquartered in Wollongong. With 15 premium drop zones Australia wide, and a skydiving crew that takes professionalism to new heights, their unforgettable skydiving adventures invite you to leave your world behind and experience the ultimate thrill of freefall. Starting as a small beachfront operation in 1998, they lead the market with jumps over some of Australia's most spectacular beach and bushland panoramas. Offering everything from tandem jumps, learn-to-skydive courses, skydiving displays, media and adventure packages, they pride themselves on an experience that's as safe and inclusive as it is exhilarating.